Hey there, little hatchback with a Honda badge that just showed up in a Japanese magazine. 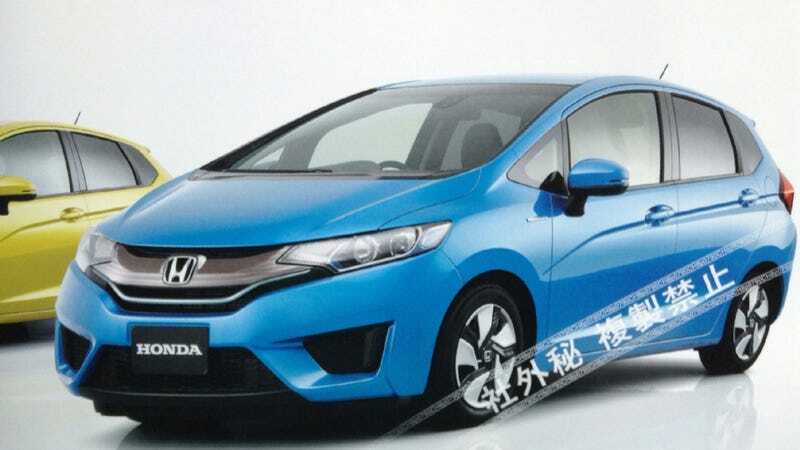 Could you be the next Honda Fit? Maybe so. Indian Autos Blog reports that press shots of the next Fit, also called the Jazz in some markets, were leaked into this magazine. It's kind of hard to tell the car's proportions because of the way the magazine was scanned, but it gives us a pretty decent idea of what the next car might look like. No word on the North American market, sadly. The Earth Dreams engine family is a good bet for us too, though. Can we keep our fingers crossed for a diesel version?